We love celebrating Valentines Day with our kids, and throwing a Valentine’s Day party is so much fun. 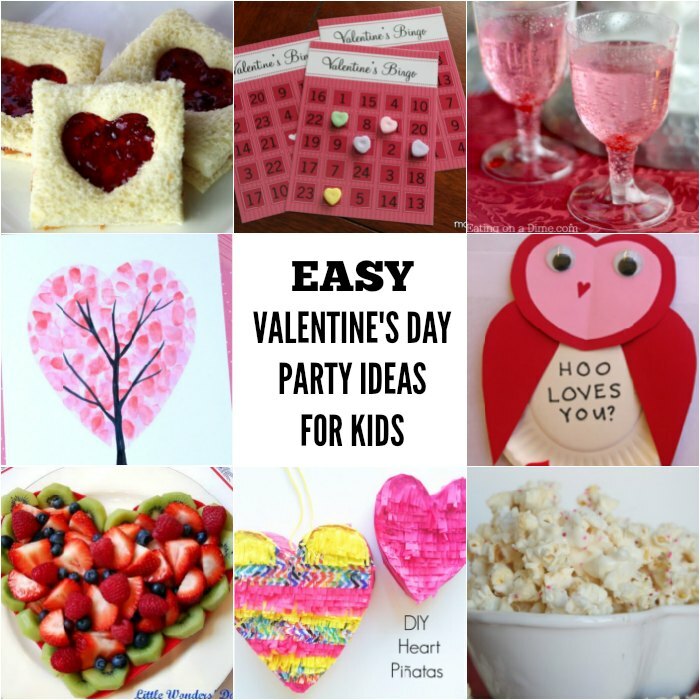 Whether you are getting ready for a Valentine’s Day classroom party or throwing a party for the kids, we have several easy Valentine’s Day party ideas for kids that won’t break the bank. Valentine’s Day food is simply the cutest. From pink and red to heart shaped treats who doesn’t love Valentine’s Day food. 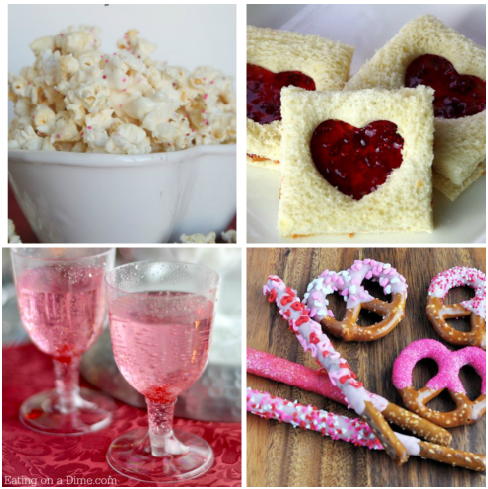 Every Valentine’s Day party needs fun and adorable Valentine’s Day food. Make sure you serve a few of these delicious treats. Valentine’s Day White Chocolate Popcorn -so festive with sprinkles. Kids will love it! Peanut Butter and Jelly Heart Sandwiches– a kid favorite and so cute. Cotton Candy Punch– pretty pink sparkling punch. 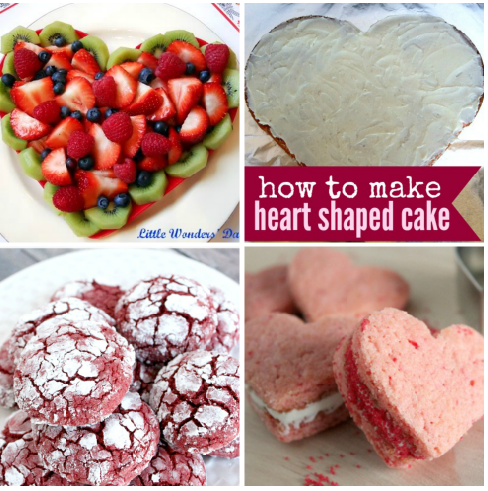 Heart Shaped Cake– Perfect for class parties. This cake is much larger than just using a store bought heart pan. Red Velvet Cookies– made with a cake mix! 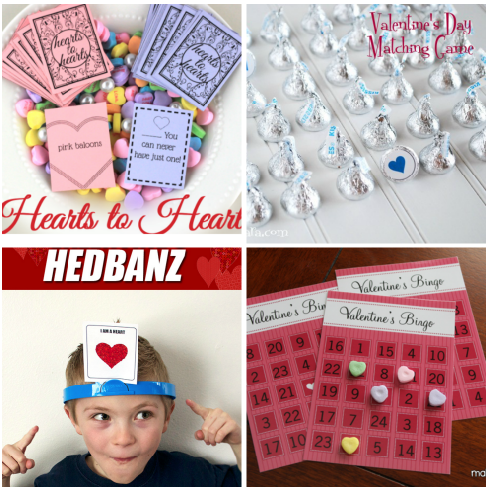 Here are 4 simple and fun Valentine party games that everyone will love! From classroom to just partying at home, these Valentine party games will be a hit. 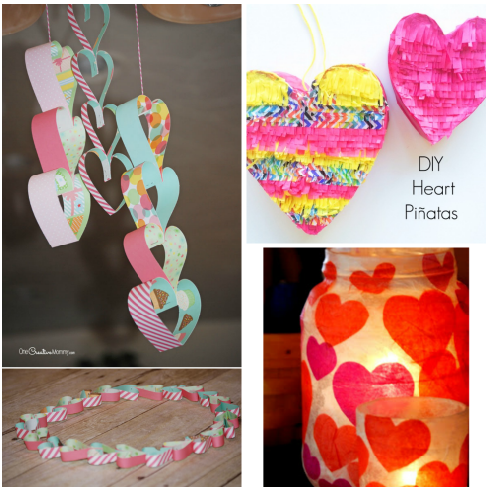 It isn’t a party without crafts and these Valentine’s Day crafts are the best! 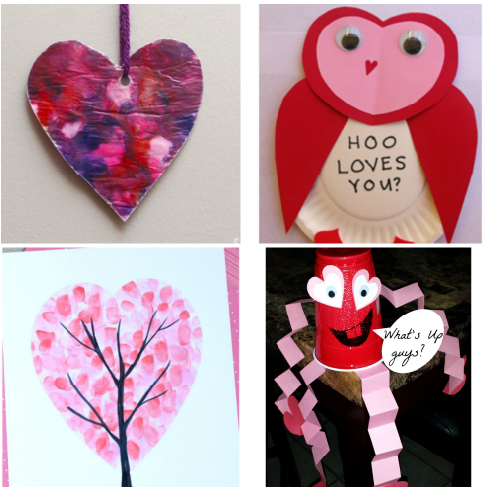 Personally the stain glass heart is my favorite… well and the Valentine’s day heart tree is adorable too! Stained Glass Heart-great way to recycle old crayons. Valentine Owl Craft– this uses paper plates! 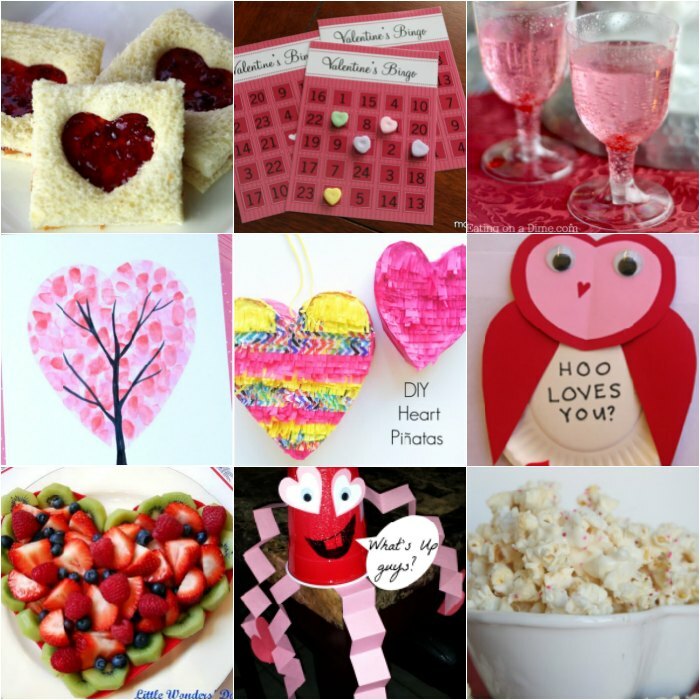 You will also love one of these 4 Valentine’s Day Decorations for your Valentine’s Day party. Valentine’s Day Decorative Jars– the kids will love helping and they are so pretty! Heart Mobile– uses toilet paper rolls! 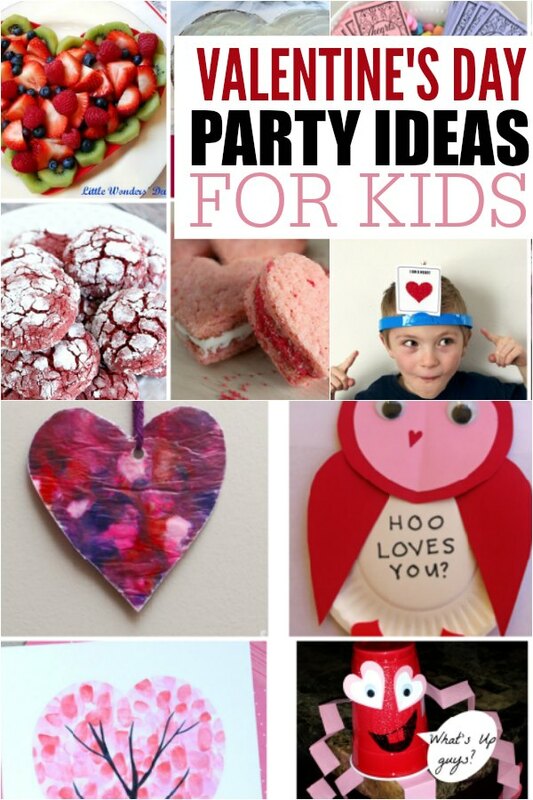 Try a few of these Valentines Day Party Ideas for the perfect party.